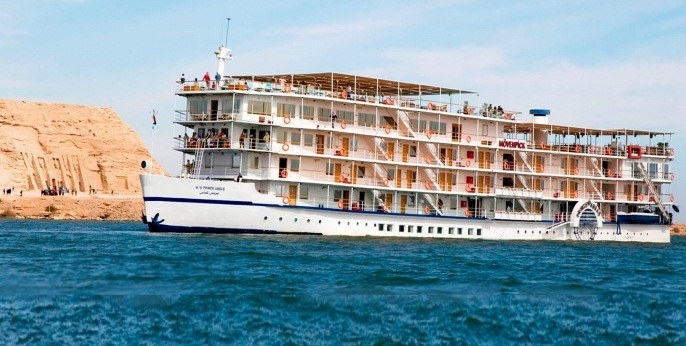 Meet at Aswan Airport or train station then transfer to Mövenpick Ms Prince Abbas Lake Cruise. Lunch on board then an relish a trip to Kalabsha temple, Beit El Wali, and the kiosk of Kertassi. Afternoon tea, dinner and overnight on board. Cruise to Wadi El Seboua, breakfast and cocktail when crossing the Tropic of Cancer. Lunch, Dinner and overnight on board. Breakfast then enjoy morning trip to Wadi El Seboua, Dakka temple and the temple of Meharakka. Get the lunch meal on board while heading to Amada. Uncover Amada and of Derr temples and Penout tomb. Dinner and overnight on board. Continue to Kasr Ibrim. Breakfast on board then morning tour Kasr Ibrim citadel. Cruise to to Abu Simbel. Lunch meal on board you will enjoy a guided visit to the Abu Simbel Temples. Candlelight dinner and overnight on board.